There’s an old New Mexico legend about a bar and restaurant in Española that’s been closed for a couple of years or so. According to the tale, which has been told for decades, the devil himself was once spotted at Red’s Steakhouse dancing with an unsuspecting lass during Lent. 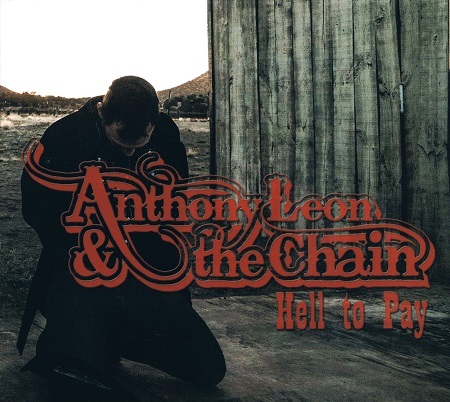 Satan reappears at Red’s in a song on Hell to Pay, the new album by country rockers Anthony Leon & The Chain. Actually, the first time I heard “The Devil’s at Red’s” was at a gig Leon did a few years ago with The Imperial Rooster at (you guessed it) Red’s Steakhouse. It became an instant favorite of mine. But Leon’s song — which doesn’t identify Española as the location — isn’t about a poor girl who is shocked when she learns the true identity of the mysterious stranger with whom she shares a sinful Holy Season dance. It’s about an instant of insane jealous rage. Indeed, Hell to Pay is not for the gun-shy. With several songs dealing with pistol-packing antiheroes, it’s almost like a more rocking version of Marty Robbins’ Gunfighter Ballads and Trail Songs. “How the West Was Won” also deals with firearms. “Now there are laws in this town about where a man can hang around/And what he can and cannot do with his gun,” Leon starts out, speaking rather than singing. Naturally, the story is about an ill-fated caper. No, the music doesn’t sound like the soundtrack of that 1962 Western with the same name, but it does have an epic feel. It’s got a nice long introduction with some fine heavy-handed jungle drums by Daniel Jaramillo. Later some harmonica by Freddy Lopez that sounds like an organ adds subtle drama to the sound. And “The Sinner” also has an Old West feel. Leon sings, “Well I made my way with a six-gun and I made my way with an ace.” The guy’s in trouble and has to leave a wife and children behind. It’s not exactly clear what’s befallen him, but it’s apparent that he’s in a tight spot he can’t shoot his way out of. Not all the songs on Hell to Pay earn a 100-percent NRA rating. There’s “Alcohol and Drugs,” long a favorite at The Chain’s live gigs. “Alcohol and drugs have kept me alive, when life was empty and I felt like I was dyin’,” Leon sings. Leon and the band play at 8 p.m. Friday, July 19, at Taos Mesa Brewery (20 ABC Mesa Road, El Prado, 575-758-1900, $5 cover) and at 10 p.m. Saturday, July 20, at the Palace Restaurant and Saloon (142 W. Palace Ave., 428-0690, $5 cover). These concerts and a Santa Fe Bandstand show last Tuesday are billed as the group’s “Final Showdown.” I hope this isn’t true. After hearing this fine album, I think Leon and the boys have a few shots left in them. 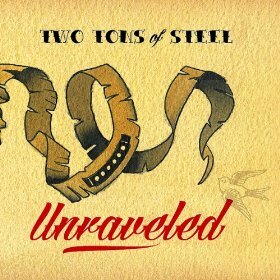 * Unraveled by Two Tons of Steel. Unlike Anthony Leon’s most recent album, this new record by this San Antonio band has no gun songs. There’s nothing quite as remarkable as “I Wanna Be Sedated” on this album, but, as evidenced by “Pool Cue,” there are plenty of good-time country-rock tunes. Unraveled was produced by Lubbock ace Lloyd Maines. One of the best tunes is “Hellcat,” a bluesy, boozy tom-tom-heavy romp about a woman who walks like a woman but fights like a man. Another is “Crazy Heart,” a simple but catchy country love song. And there are a couple of good covers here. “One More Time” was written by Texas soul rocker Roy Head (“Treat Her Right” was his big hit), though I know this song mainly through Joe “King” Carrasco’s version from the early ’80s. Two Tons also does an excellent take on “Busted,” written by Harlan Howard and covered by Johnny Cash, Ray Charles, and probably thousands of others. Here the band plays with the melody, throwing in some minor chords and making it their own. UPDATE 7/21/13: I corrected the above text to clarify that there is no organ in Anthony Leon's "How the West Was Won." That was Freddy Lopez making his harmonica sound like an organ.